The New York City Health Department announced today that it has issued Commissioner’s Orders to all yeshivas in Williamsburg to comply with the mandatory exclusion of children who are not vaccinated for measles or face violations which are subject to fines and possible school closure. Any school found to be out of compliance will immediately be issued a violation. In December, the Health Department ordered yeshivas and childcare centers serving the Orthodox Jewish community in the affected areas to exclude all unvaccinated students from attending school or daycare until the outbreak is declared over. In January, one yeshiva in Williamsburg fell out of compliance, allowing unvaccinated children back into school or daycare. This single yeshiva is connected to more than 40 cases of measles infection, resulting in a large increase in measles cases and the continuation of the outbreak. To date, 285 cases have been confirmed since the beginning of the outbreak in October, with many of these new cases being confirmed in the last 2 months. Most of these cases were unvaccinated or incompletely vaccinated individuals. There have been 21 hospitalizations and five admissions to the intensive care unit. 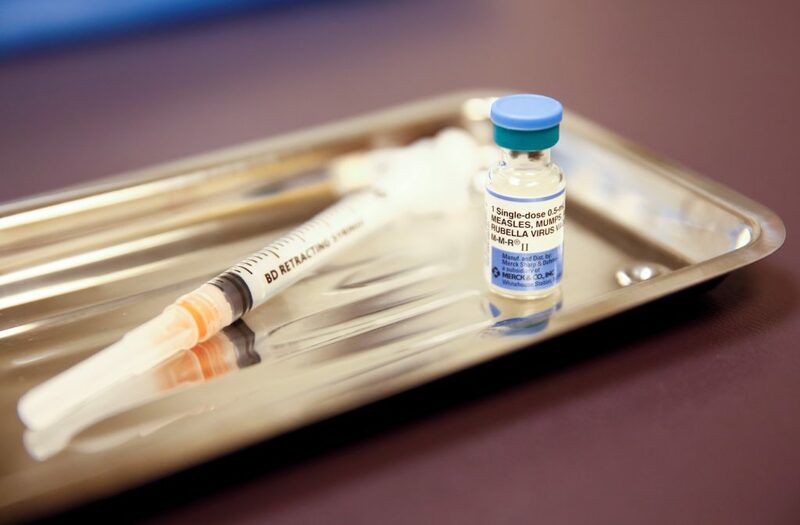 The Health Department is urging all New Yorkers—especially those in the Orthodox Jewish community—to get the measles-mumps-rubella (MMR) vaccine to prevent further spread of the virus. Individuals traveling to areas with ongoing large outbreaks, including Israel, Europe, Upstate New York, and other parts of the United States should take precautions and make sure that they and their children are appropriately vaccinated with MMR.